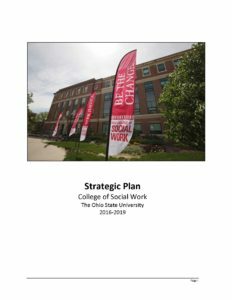 The College of Social Work’s Strategic Plan guides our activities over the next four years. It reflects not only the initial work of the faculty and the administrative officers of the college, but comments received on this and other documents from the Provost’s Office, the Office of Minority Affairs, and the Graduate School. Click below to download the OSU College of Social Work Strategic Plan.